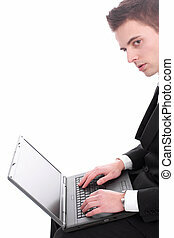 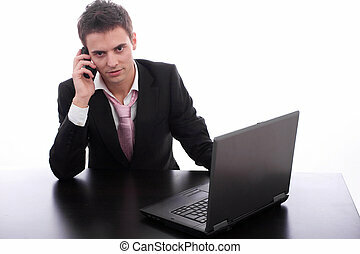 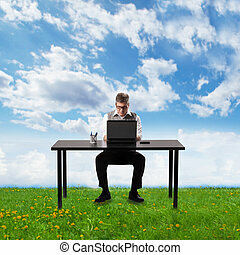 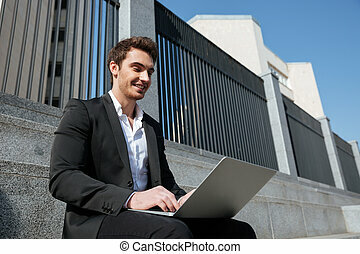 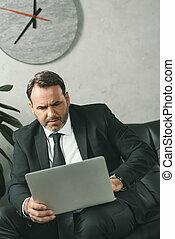 Handsome mature businessman working with laptop. 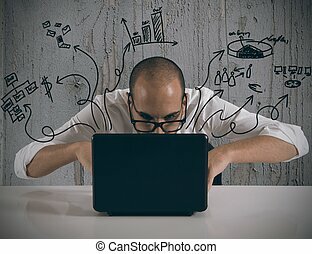 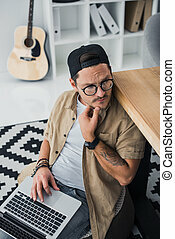 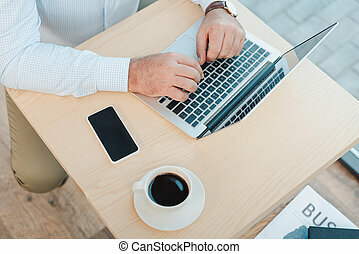 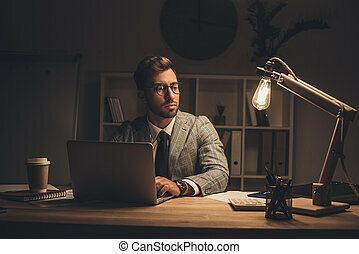 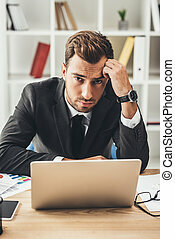 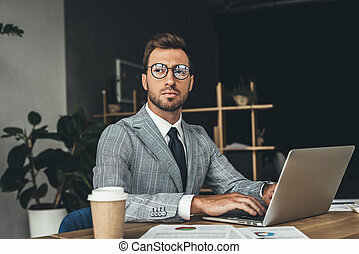 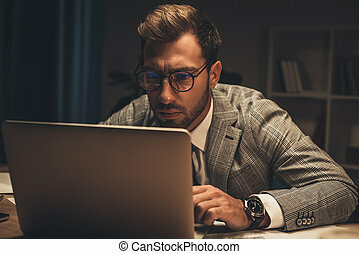 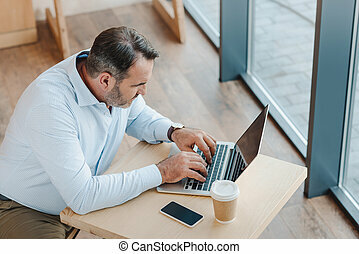 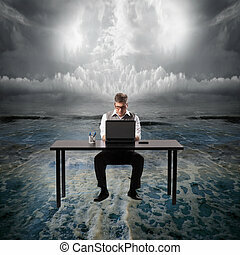 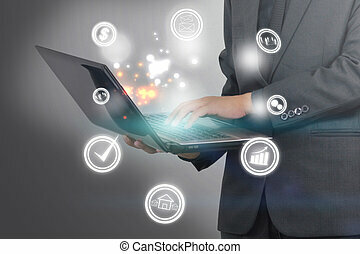 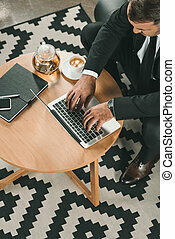 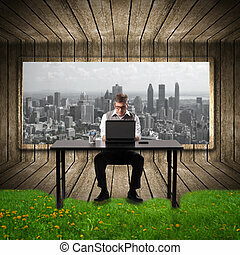 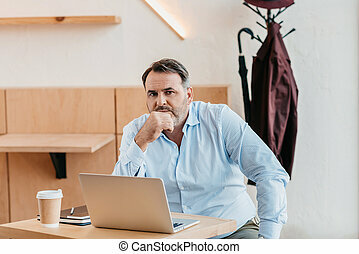 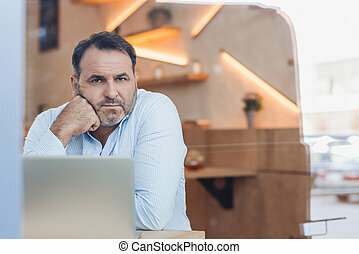 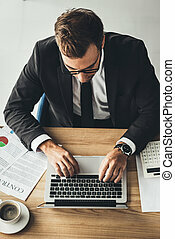 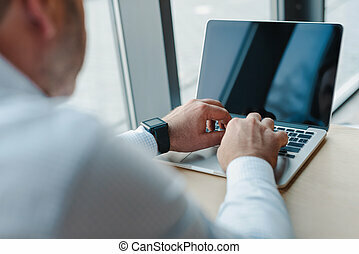 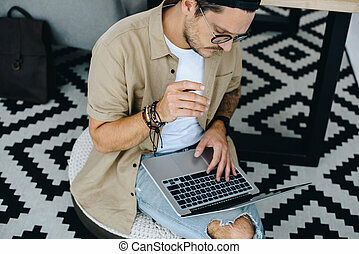 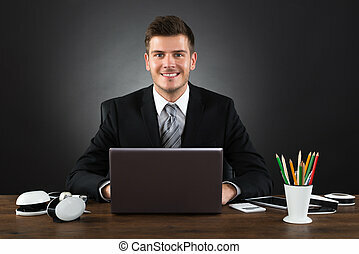 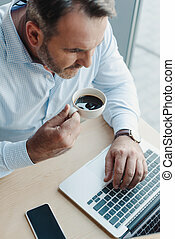 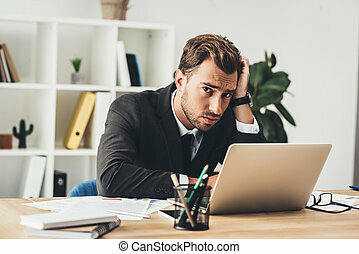 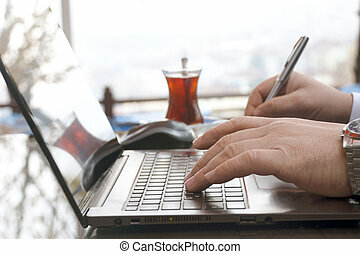 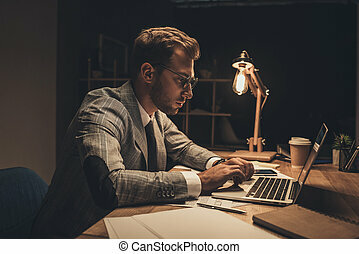 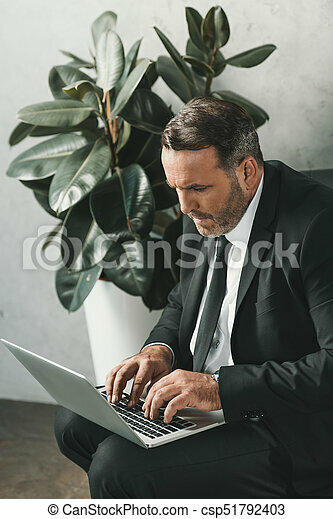 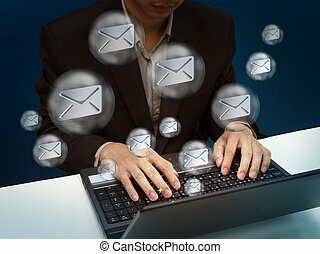 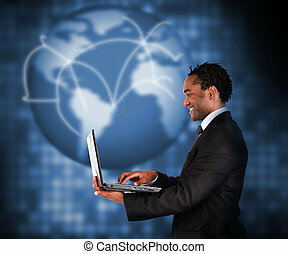 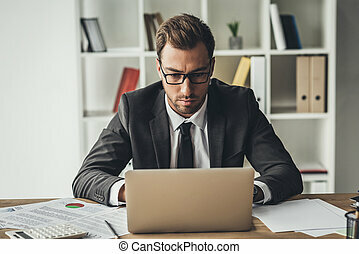 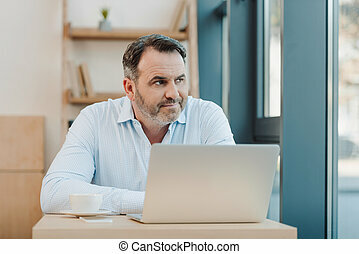 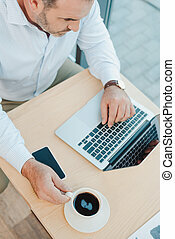 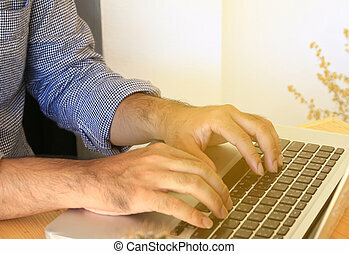 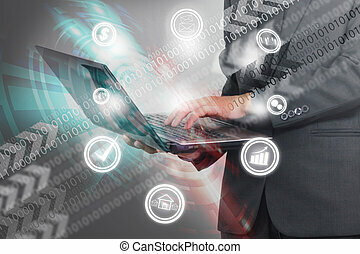 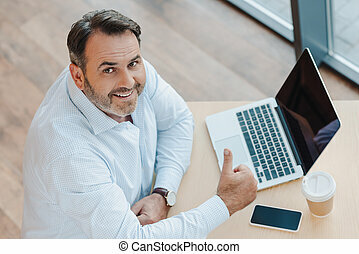 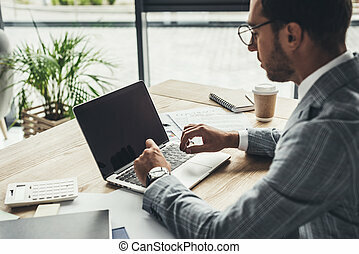 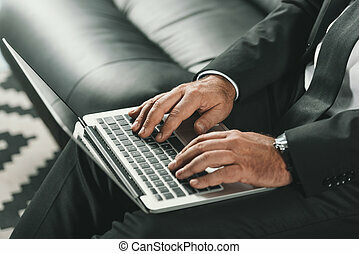 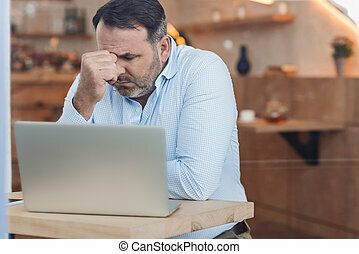 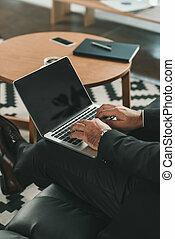 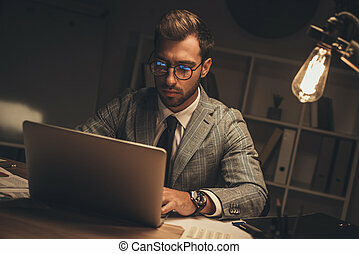 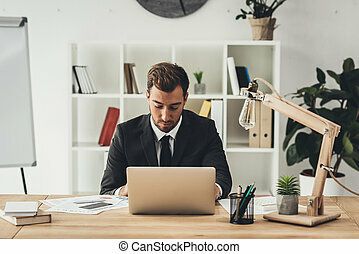 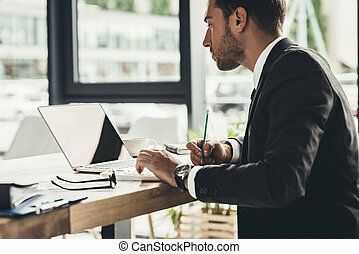 Businessman working with laptop computer. 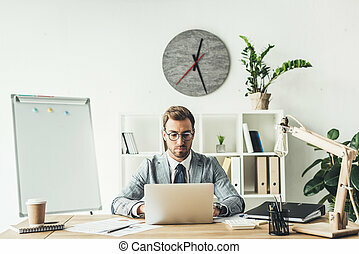 Office life. 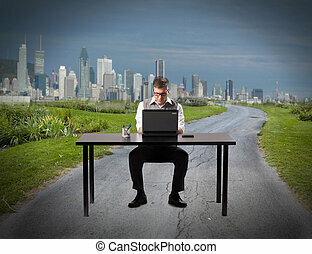 Businessman working with laptop computer on the street.